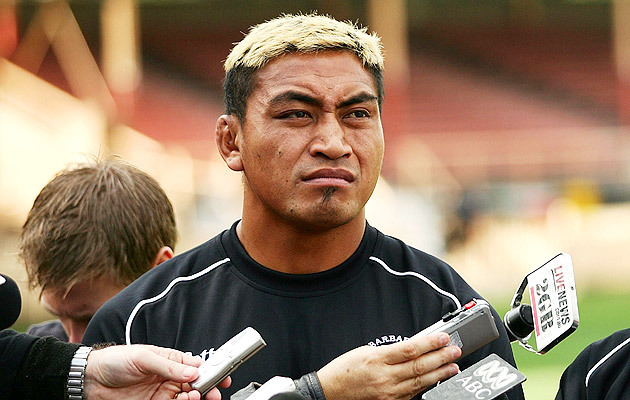 It has been reported that Ex All Black international, Jerry Collins was arrested in a Japanese Supermarket in Hamamatsu after allegedly being seen carrying a blade beyond that of the legal length. Seen walking into the Market, he walked behind the counter, pulled the blade from under his jacket and placed it on the counter, soon after being with the security officials he was apparently "sweating prefusley and was in a state of panic or fluster" It turns out that he was being perused, and found refuge in the underground market . The security people of the shop sat him down and gave him water to drink. Authorities later then arrived and arrested him, bringing him to the local police station and held on custody. A close friend Jerry's, said that he had been threatened earlier on that day on his facebook, with people posting threatening comments, which led to him carrying the weapon for "self defence" in fear of his own safety. The people posting the comments have yet to be identified but are apparently "Brazillian Gangsters" that he has had a misunderstanding with. Collins had been in fear of his own life for a while now, lasting a few weeks of being constantly threatened. In Collins's own opinion he is "relieved to have been arrested as he is now at least safe, being in the police station". There has only been one video of the man in the station. In which he is being escorted back to his remand cell. It is possible he can be held in the station for up to 23 days, although he has since been released earlier yesterday morning (March 28th). It is has been also said that he has been treated very kindly and generously in the station. He does however have to pay a fine of $1900. I am glad to see that he has been released and is now relieved from the pressure.